SKU: N/A. Category: Offset & Digital Printing. Tags: Vinyl Banners Albany New York, Vinyl Banners Annapolis Maryland, Vinyl Banners Atlanta, Vinyl Banners Atlanta Georgia, Vinyl Banners Augusta Maine, Vinyl Banners Austin, Vinyl Banners Austin Texas, Vinyl Banners Baltimore, Vinyl Banners Baton Rouge Louisiana, Vinyl Banners Bismarck North Dakota, Vinyl Banners Boise Idaho, Vinyl Banners Boston, Vinyl Banners Boston Massachusetts, Vinyl Banners Carson City Nevada, Vinyl Banners Charleston West Virginia, Vinyl Banners Charlotte, Vinyl Banners Cheyenne Wyoming, Vinyl Banners Chicago, Vinyl Banners Cincinnati, Vinyl Banners Cleveland, Vinyl Banners Columbia South Carolina, Vinyl Banners Columbus, Vinyl Banners Columbus Ohio, Vinyl Banners Concord New Hampshire, Vinyl Banners Connecticut, Vinyl Banners Dallas–Fort Worth, Vinyl Banners Denver, Vinyl Banners Denver Colorado, Vinyl Banners Des Moines Iowa, Vinyl Banners Detroit, Vinyl Banners Dover Delaware, Vinyl Banners Frankfort Kentucky, Vinyl Banners Harrisburg Pennsylvania, Vinyl Banners Hartford Connecticut, Vinyl Banners Helena Montana, Vinyl Banners Honolulu Hawaii, Vinyl Banners Houston, Vinyl Banners Indianapolis, Vinyl Banners Indianapolis Indiana, Vinyl Banners Jackson Mississippi, Vinyl Banners Jefferson City Missouri, Vinyl Banners Juneau Alaska, Vinyl Banners Kansas City, Vinyl Banners Lansing Michigan, Vinyl Banners Las Vegas, Vinyl Banners Lincoln Nebraska, Vinyl Banners Little Rock Arkansas, Vinyl Banners Los Angeles, Vinyl Banners Madison Wisconsin, Vinyl Banners Miami, Vinyl Banners Minneapolis–St. Paul, Vinyl Banners Montgomery Alabama, Vinyl Banners Montpelier Vermont, Vinyl Banners Montreal, Vinyl Banners Nashville, Vinyl Banners Nashville Tennessee, Vinyl Banners New York, Vinyl Banners Oklahoma City Oklahoma, Vinyl Banners Olympia Washington, Vinyl Banners Orlando, Vinyl Banners Philadelphia, Vinyl Banners Phoenix, Vinyl Banners Phoenix Arizona, Vinyl Banners Pierre South Dakota, Vinyl Banners Pittsburgh, Vinyl Banners Portland, Vinyl Banners Providence Rhode Island, Vinyl Banners Raleigh North Carolina, Vinyl Banners Richmond Virginia, Vinyl Banners Riverside-San Bernardino, Vinyl Banners Sacramento, Vinyl Banners Sacramento California, Vinyl Banners Saint Paul Minnesota, Vinyl Banners Salem Oregon, Vinyl Banners Salt Lake City Utah, Vinyl Banners San Antonio, Vinyl Banners San Diego, Vinyl Banners San Francisco–Oakland, Vinyl Banners San Jose, Vinyl Banners Santa Fe New Mexico, Vinyl Banners Seattle, Vinyl Banners Springfield Illinois, Vinyl Banners St. Louis, Vinyl Banners Tallahassee Florida, Vinyl Banners Tampa–St. Petersburg, Vinyl Banners Topeka Kansas, Vinyl Banners Toronto, Vinyl Banners Trenton New Jersey, Vinyl Banners Vancouver, Vinyl Banners Washington, Vinyl Banners Washington DC. 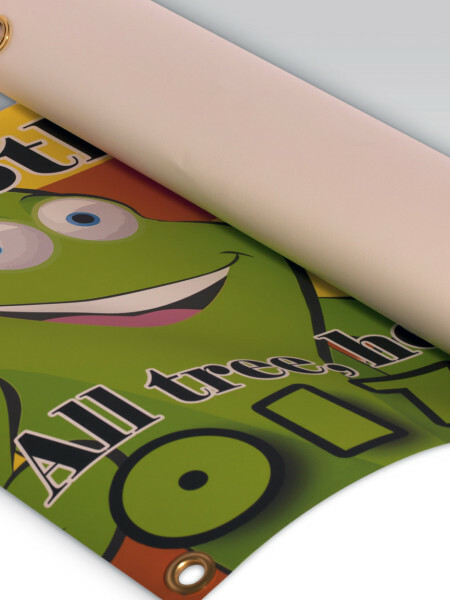 Vinyl Banners is the requirement of every business starting from business name Vinyl Banner to product display and event advertisement every time there is a need of Vinyl Banners printing for business. 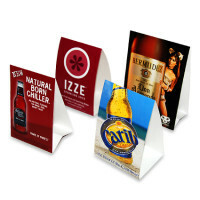 Attractive display and designs creates opportunities to reach to the target audience even without spending anything substantial. It can’t be denied that ever-growing competition in the market has now made the promotional campaign an unavoidable component of the business. That’s the main reason why both the small and big business outlets are now opting for advertising with Vinyl Banners these days. 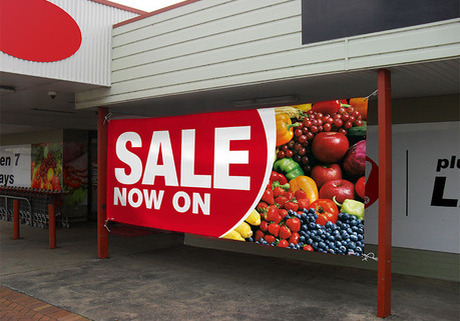 It has always been proven that Vinyl Banner advertising is one of the cheapest and effective method of reaching out to the customers. 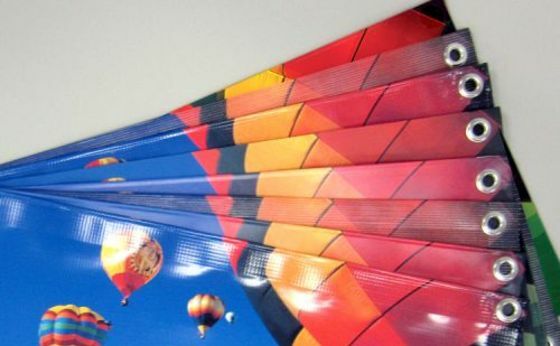 At Rebecca Printing, we are offering privileged printing within budget so that small businesses can also spend for Vinyl Banner printing and spend within their limit while realizing their goals easily. In this way you can reach the prospects instantly and reach your targeted audience in a desired manner. 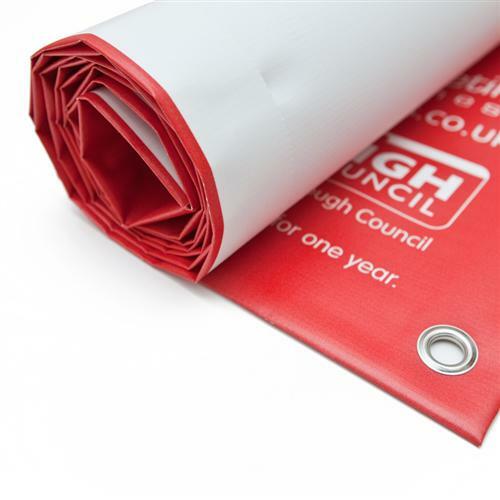 For Vinyl Banners printing, the size which they are offering are 2′ x 10′, 3′ x 12′, 4′ x 10′, 8″ x 10″ of variant materials like 13 Oz Matt Vinyl and 9 Oz Matt Vinyl. They also provide stress on its finishing where they use Grommets & Hem, 3″ Pole Pocket (Left & Right), Raw Edges (No Grommets & Hem). They also accept bulk orders.